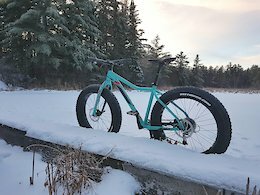 Posted in "Biggest, thinnest and most grippyest flat pedals?" Posted in "What Bike Would You Buy?" Posted in "X2 203 Vented rotors, Intense M9 But what brake adaptors?" Posted in "Need some mechanical help"
He is for sure! Loves to run..
Posted in "Help after servicing rear hub"
Posted in "Drive train problem solving, with options." Posted in "Rear shock (RockShox Deluxe RT 230x60mm) bottoming out before end of it's stroke"
Posted in "Dt swiss hubs"